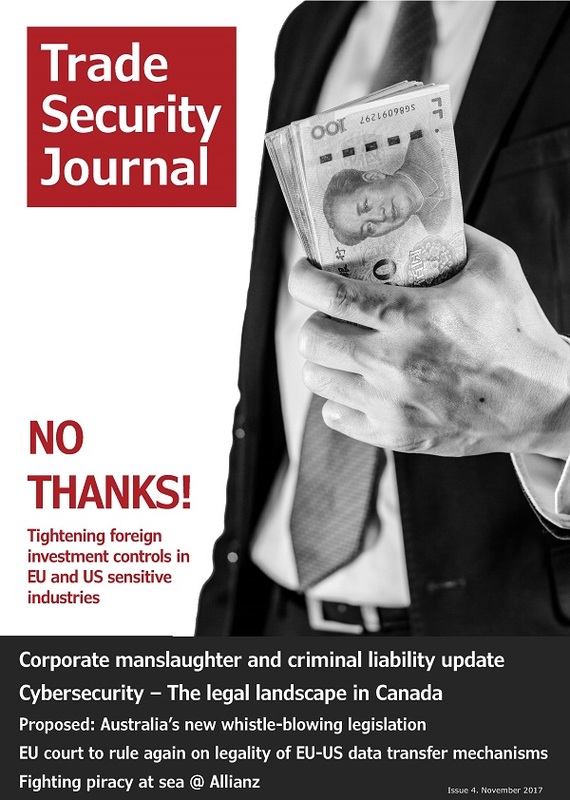 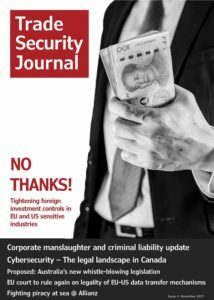 Tightening foreign investment controls in EU and US sensitive industries * Corporate manslaughter and criminal liability update * Cybersecurity – The legal landscape in Canada * Proposed:.. 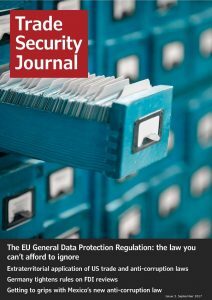 The EU General Data Protection Regulation: the law you can’t afford to ignore * Extraterritorial application of US trade and anti-corruption laws * Germany tightens rules on FDI reviews * Getting.. 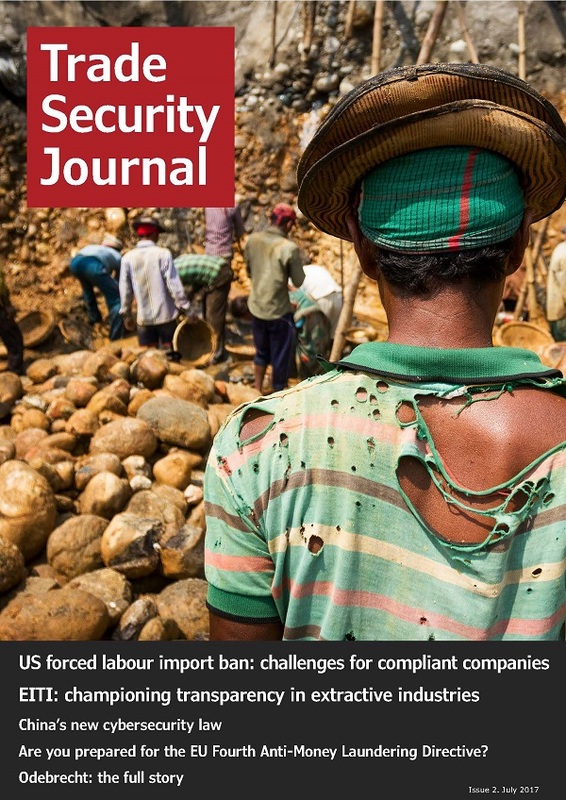 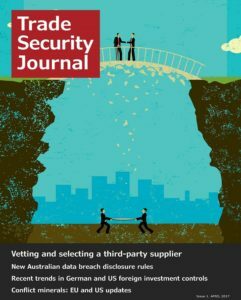 US forced labour import ban: challenges for compliant companies * EITI: championing transparency in extractive industries * China’s new cybersecurity law * Are you prepared for the EU Fourth.. 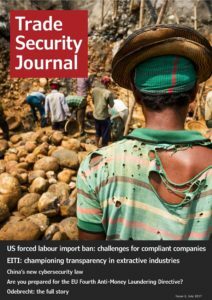 The UK’s Modern Slavery Act: One year in, what has been the impact? 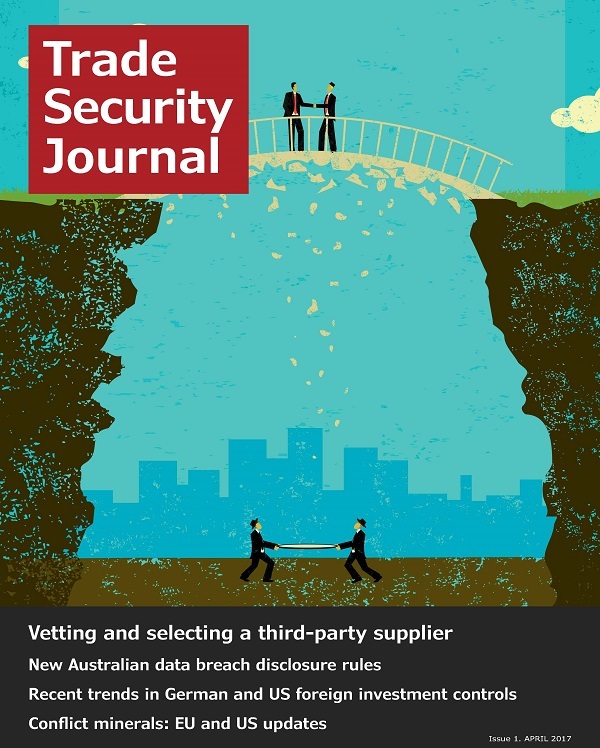 * Vetting and selecting a third-party supplier * Recent trends in German and US foreign investment controls * European..
EU issues draft guidance on dual-use ICPs * ZTE monitoring period extended * Where should export control compliance sit in a business? 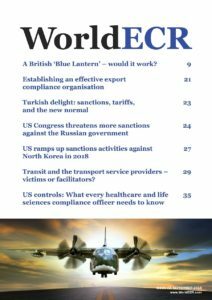 Part 2 * Talking export controls with Alex Groba * The many..
Establishing an effective export compliance organisation * Turkish delight: sanctions, tariffs, and the new normal * US Congress threatens more sanctions against the Russian government * US ramps up.. 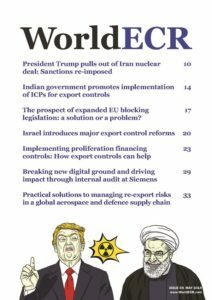 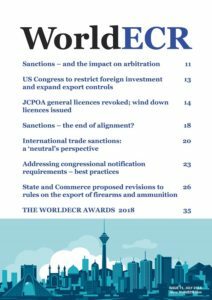 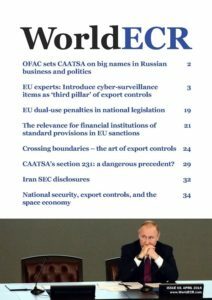 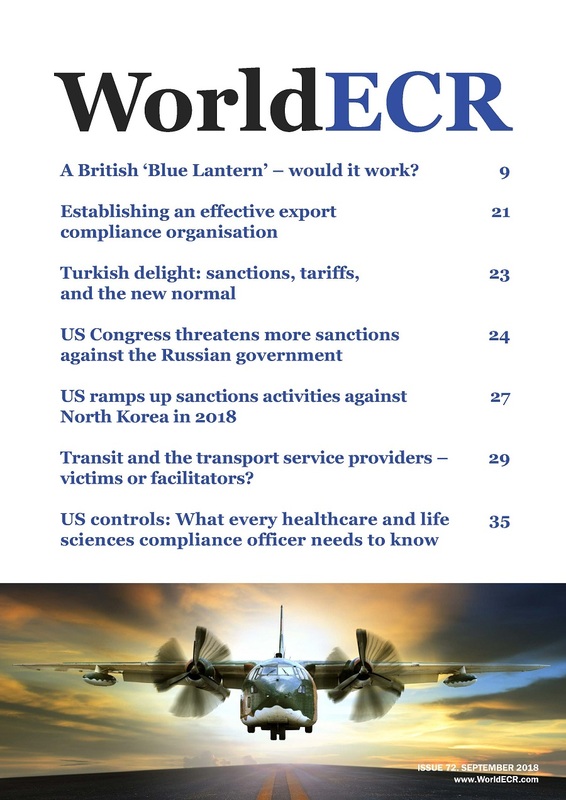 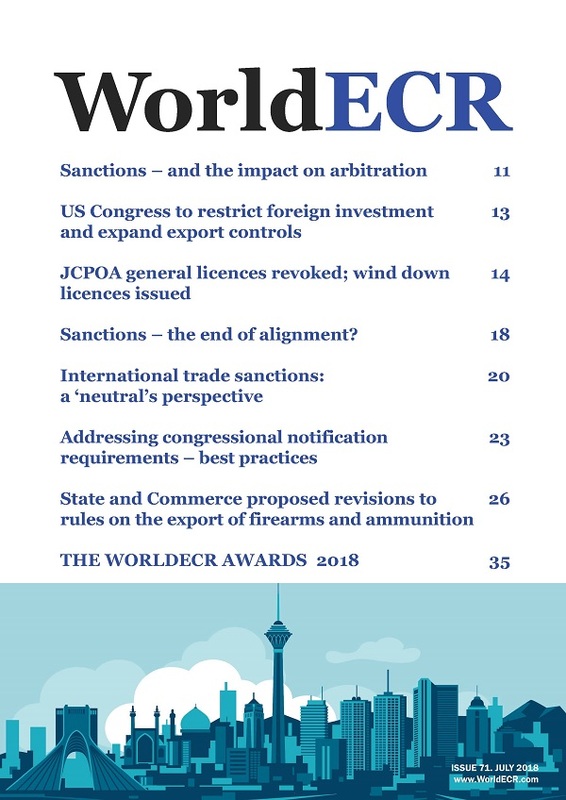 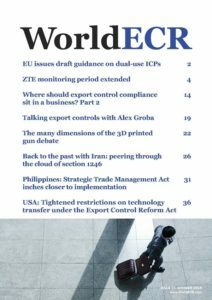 THE WORLDECR AWARDS 2018 * Sanctions – and the impact on arbitration * US Congress to restrict foreign investment and expand export controls * JCPOA general licences revoked; wind down licences.. 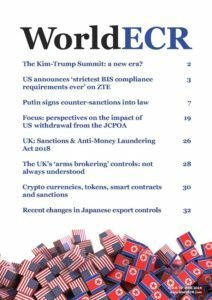 The Kim-Trump Summit: a new era? 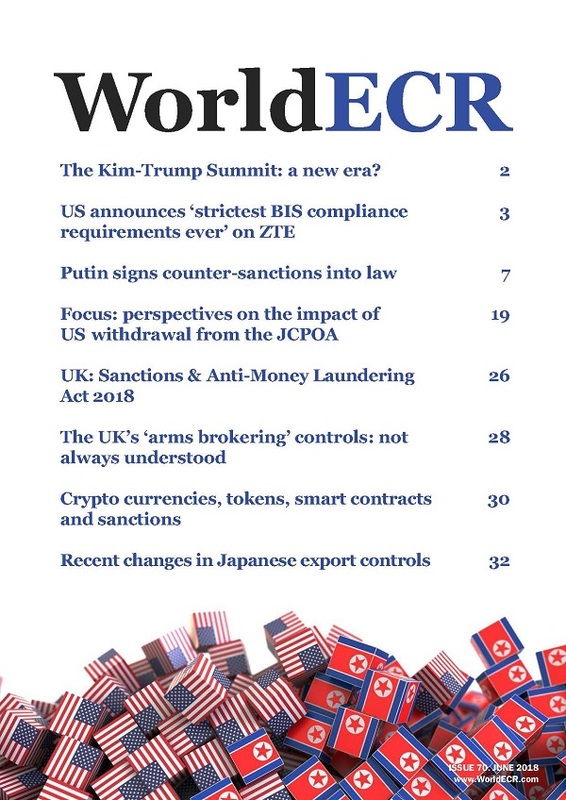 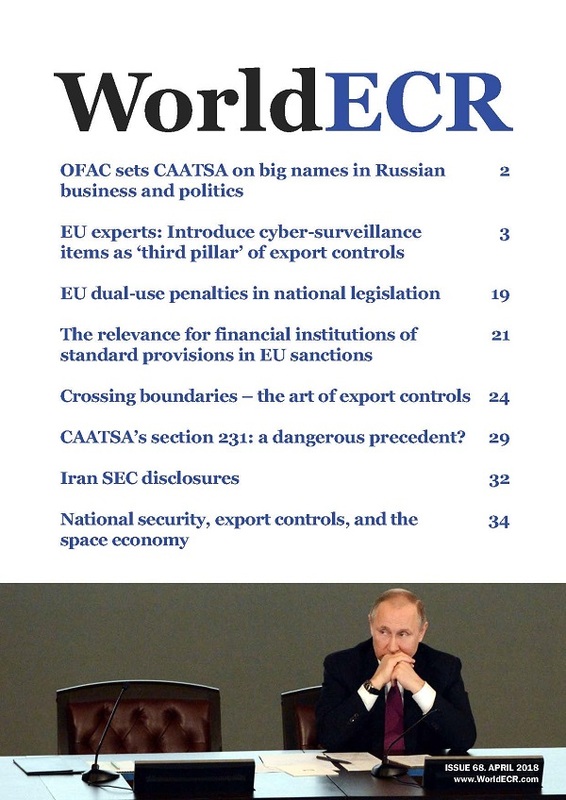 * US announces ‘strictest BIS compliance requirements ever’ on ZTE * Putin signs counter-sanctions into law * Focus: perspectives on the impact..
President Trump pulls out of Iran nuclear deal: Sanctions re-imposed * Indian government promotes implementation of ICPs for export controls * The prospect of expanded EU blocking legislation: a..
EU dual-use penalties in national legislation * The relevance for financial institutions of standard provisions in EU sanctions *Crossing boundaries – the art of export controls * CAATSA’s..